One of the major disruptive changes in recent years has been the development of mobile technology. Billions of us now carry smart devices in our pockets, accessing everything from social updates, the latest movie releases, games, video and top of the range shopping experiences any time we want, wherever we happen to be. Mobile is fast becoming the primary channel for marketers and businesses across the world. For many brands marketing via mobile has become a critical channel as this allows them to engage with consumers at a time they can be assured to reach an expanding, captive, and engaged audience. In 2016, our purchases via smartphones and tablets have increased by a staggering 40%. and this is only going to increase. Mobile marketing isn’t the future – it’s now, and with smart devices such as smart watches, phone’s, tablets and IOT connected devices becoming such an indispensable part of our everyday lives, brands are now able to unlock a host of new opportunities to reach their audience on a scale never before seen – and it’s only going to get bigger. With everything from virtual reality to location based marketing and big data, the ability to grab the attention of consumers is growing by the day. 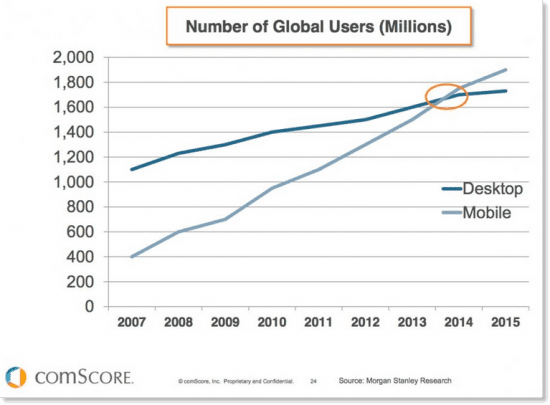 This why mobile must be at the forefront of your marketing, business growth and launch strategies. So here are my top predictions that you should keep your eye out for in 2017! It’s been going on for a while but mobile is continuing to replace the humble desktop when it comes to online activity. It’s about as different as jumping on a car to riding a horse. Its imperative that your business website is adapted to mobile devices, if not then this should be top of the marketing list in 2017. Many companies are also moving towards apps which are now able to offer a more personalised experience and offer deeper integration with devices, for example new product notifications etc. Also, expect to see more live video, VR and mobile payment integrations on both websites and mobile apps in 2017, especially Apple Pay! It’s not just Facebook who are introducing live streaming to their platforms. Periscope, Twitter, Instagram (coming soon) and YouTube are also jumping head first into this new and exciting area. What does it mean for your business? How you utilise this new technology is going depend largely on your budget and where you customers hang out. If you’ve got a product or service launch on the way, interacting with you fan base live can help you reach out across the world. And all you need to do it is your smartphone and little film making savvy. VR continues to develop in the market place and 2017 is thought to be the time when it really takes off. Google, Facebook and other big players are producing devices that work with our mobile phones and the only thing setting the sector back has been the lack of VR content. Expect this to grow rapidly over the next few months. Giving your customers a totally immersive experience can add tremendous impact, though it may benefit some industries better than others. There’s plenty of competition in the messaging market right now. The truth is that we tend to use numerous different services rather than just one. Easy to download and connect with friends and colleagues, we are less parochial about which platform we choose as long as it does the job. That poses a problem for businesses trying to connect on multiple systems. That could beam bots become a lot more important. Many businesses are using brand bots to engage with customers in more meaningful ways, particularly on platforms such as Facebook Messenger. Conversation bots have been around for a few years but these new ones are far more sophisticated and can give the appearance that you are messaging a real person. How business utilises this tech could be important over the next 12 months and a race to provide customers with a faux-personal experience that hits the mark. Getting better individual data and customising experiences for users is also going to be a big undertaking for businesses during 2017. Recognising who customers are and tailoring the online experience based on their interests and previous online activity will be crucial for online businesses who want to build relationships with customers and make their experiences more relevant online. Also, being able to log into a service whether you’re using a desktop, tablet or mobile is definitely something that consumers are looking for and most of the big companies from Microsoft to Netflix have this compatibility built in to their systems already. Your company may have to invest to follow suit. While tech may develop, content is still a strong driver for all businesses. Native advertising is about producing marketing material that fits seamlessly into what the consumer is doing or viewing. It can bypass ad blockers and looks as if it is a part of what the timeline or page. For instance, if you use Facebook, the ads follow the natural design of the page and fit in with the user experience rather than standing out like a sore thumb. 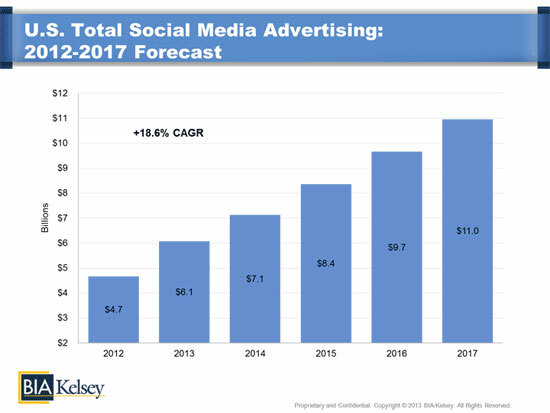 Also, thanks to new advanced targeting capabilities channels such as Facebook, Instagram, Twitter and Pinterest continue to see significant growth in social ads spend. One of the most exciting developments in recent years has been the development of iBeacons which can be placed around a commercial property and used to interact with customers. It’s gaining popularity in industries such as hospitality. Hotels are using them to allow customers to get the best deals, directions to special offers and even to sign in and get to their room without going through reception. Expect to see these devices interacting with your mobile phone in places like museums, airports and shops in the future. Undoubtedly, the development of smart devices with great quality visuals has given businesses the opportunity to engage with potential customers on a much deeper level. Expect 2017 to be a time when visual advertising becomes more and more important. With the development of VR, augmented reality and live streaming services, there is plenty of opportunity for all kinds of business to engage with their consumers. It’s also much easier to use mobile devices to produce this kind of content and get it edited at a relatively low cost online. If you are a business and you’re beginning to lose track of all the latest developments, then you’re not alone. There often doesn’t seem to be enough breathing space for companies to get the hang of tech innovations and learn how to utilise them before the next one comes along. This is going to be the growing problem for many over the next 12 months, particularly as the ubiquitous Internet of Things begins to kick in and connect all our devices.